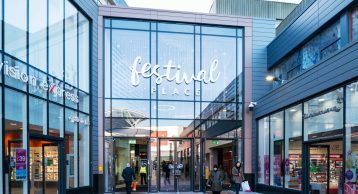 Festival Place is one of Hampshire’s largest regional shopping and leisure destinations located in the heart of Basingstoke. It opened in October 2002, transforming Basingstoke town centre, creating over a million square feet of shopping and leisure space. 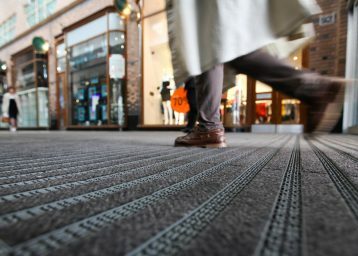 Find out why shopping centre entrance matting is so crucial at keeping the occupants safe and the cleaning costs down. There are over 200 big brands in the centre, as well as a Sports Centre, Discovery Centre, restaurants, and a 10-screen cinema. Festival Place offers all the attractions of a town centre with the accessibility, scale, and choice of a major out-of-town development. These top-class facilities have earned Festival Place the name of the most premier shopping centre in Basingstoke. As a result, it attracts 20.7 million visitors per annum. Making sure these visitors keep returning means the centre has to maintain safety and cleanliness. This is a major concern for any shopping centre, and was certainly the case for Festival Place. 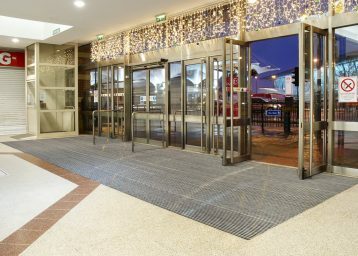 To achieve their objective, we consulted the centre in installing high quality Entrance Matting. 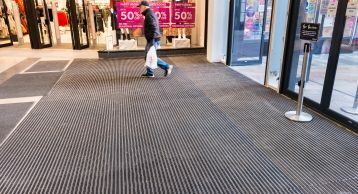 Festival Place selected INTRAflex XT Entrance Matting with open construction which incorporated ribbed rubber inserts to effectively tackle moisture as well as Black 608 Elite Polyamide Fibre insert to further reduce the ingress of dirt and moisture into the building. The benefits of this were instantly recognised. This had an impact on the cleaning costs which were significantly reduced. Finally, a clean and aesthetically pleasing centre meant that most shoppers were pleased with their visitor experience.